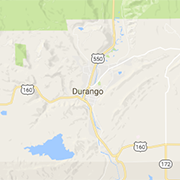 Working to support local businesses with resources, ideas, and organized events, these associations provide a variety of efforts every year to make Durango a better city to live and work in. The HBASC is about advocacy, education, networking and marketing for the construction and building industry in Southwest Colorado. Build Your Business in a Place Where You Would Love to Live.....La Plata County! Pine River Shares is a collective, community-based organization that brings people together through sharing resources, skills and knowledge in a positive, local atmosphere. The Vallecito Service League is an organization comprised of women of the Vallecito Valley raising funds and working for the betterment of our community. Durango Chamber of Commerce's group of local, young professionals that meet multiple times throughout the year.